Love it or hate it the ACA (Affordable Care Act) also known as Obama Care is on its last leg and a very unsteady leg at that. Plagued with large premium increase, lower than expected enrollments and just flat out bad plans the new administration is leading the charge to “repeal and replace” the ACA. Having just released the frame work for a new plan entitled the American Health Care Act, the Republican control congress seems to be taking things a little slower than promised, which is a good thing. I would prefer a smarter approach with much more input from both sides of the isle, consumer groups, health care professionals and insurance industry leaders than we got 7 years ago. Passed almost 7 years ago, on March 23rd 2010, the ACA, (Affordable Care Act) changed the way most consumers under 65 purchased or qualified for Health Care Coverage. 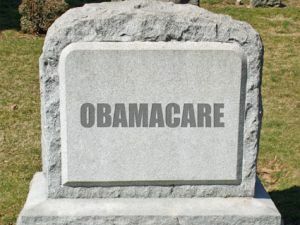 Based around a “mandate” to have qualified health plan coverage residents of the United States faced increasing financial penalties for not being covered. Besides the mandate health plan designs were changed to fit in 5 different categories, Catastrophic, for the under 30 crowd, Bronze, Silver, Gold and Platinum. The more valuable the metal the higher the benefits the plan had. Certain benefits were mandated to be included in all plans such as maternity, physical therapy, children’s dental and a whole host of other coverages. No longer could insurance companies deny people coverage. Part of the ACA included “Guarantee Issue” a rule that allowed anyone no matter what their medical history, the opportunity to purchase coverage. In order to keep “cheaters” from waiting until they got sick or injured to buy coverage. An “Open Enrollment” period was established allowing people to buy coverage only at a certain period during the year or if they had “Qualifying Event” such as the loss of an employer plan or moved to a different part of the country. To help people pay for this new required coverage the Federal Government would “subsidize” people with lower incomes by paying part of their premiums. This was based on where people’s annual incomes fell on the Federal Poverty chart. People who made less than 138% over the Federal Poverty level would qualify for free or very low cost Medicaid plans. People whose incomes were above 138% but below 400% of the Federal Poverty Level would have part of their monthly premiums paid by the Federal Government and people whose incomes were above the 400% level would pay the full cost for plans. ACA rules also affected Employer Health plans by mandating employers with more than 50 fulltime employees to provide qualified health plan coverage and penalizing those employers that didn’t. The basic idea behind the ACA was that if everyone had some form of health insurance coverage that medical costs would naturally drop and insurance premiums would follow. Almost from the get-go the fate of the ACA was sealed. On January 1st 2014, when the entire ACA bill took effect the average premiums nationwide increased by almost 50%. Insurance carriers faced with an influx of individuals with expensive medical conditions were forced to alter plans and reduce the number of medical providers on their contracted (HMO, PPO and EPO) plans causing people to lose access to their doctors. Many popular insurance plans went away because they could not meet the required ACA regulations and still stay profitable. Carriers raised deductible, co-pays and out of pocket costs to higher than ever levels. Families now faced potential out of pocket costs of up $13,600 in 2017. Lower than expected enrollment didn’t bring in the funding needed to help keep insurance pools solvent and by 2015 some Insurance carriers were leaving the individual and small employer insurance market leaving consumers with fewer choices. Close to half of the estimated 21 million (CBO projections) who enrolled through the State and Federal Exchanges tasked with overseeing the ACA enrollments, were enrolled in Medicaid programs. This removed even more money from the insurance carriers forcing rates even higher. Large numbers of Americans remained uninsured, of the estimated 50 million uninsured individuals in the US the ACA was projected to cover close to 30 million additional residents but missed the mark by over 10 million people. Medical care cost continues to rise, some areas such as primary care costs have stabilized but overall the ACA has done little to reduce the cost of medical care in the United Sates. It’s hard to get an accurate estimate on the cost of the ACA to the American taxpayer since implementation, the information varies widely depending on who’ study you’re reading but the latest numbers estimate 2016’s ACA cost to be around 110 billion dollars. The ACA did have some success, the Guaranteed Issue provision of people no longer being denied insurance coverage in my opinion was worth all the issues the ACA brought. Many people now have insurance at rates they can afford thanks to the subsides. And even is the ACA did miss its enrollment mark the number of uninsured in the US is at an all-time low. While I know that no plan will make everyone happy I am somewhat optimistic that this point that at the very least premiums cost reductions will be the focus of any new bill. As we move forward with the “new” health care plan I will do my best to keep you informed on what to expect. I just want to thank you for this very informative Blog. Please keep it up. Thanks for all the good information Geoff. They should put you on Fox news or CNN to explain it to people because nobody’s getting the real story. I really enjoy watching these liberals trying to make a point without sounding like an idiot.